It took a while but winter is finally here! The low humidity in the atmosphere with the onset of the cold weather zaps the moisture and life out of your skin leaving it feeling tight and dry. You will find you need something 'extra' to get it feeling soft, comfortable and hydrated. But without feeling greasy. That's where the NCDConcentrated Hydration+ comes in. Boosted with medical grade lanolin, shea butter and glycerin. All the humectants that hold moisture and water in, without feeling greasy. Rebuilding and giving your skin the rehabilitation and rehab it needs in winter. The new formula is boosted with 5% Vitamin B3 as a natural anti inflammatory, barrier restorer and immune booster. For the months of June, July and August we are offering a special deal. 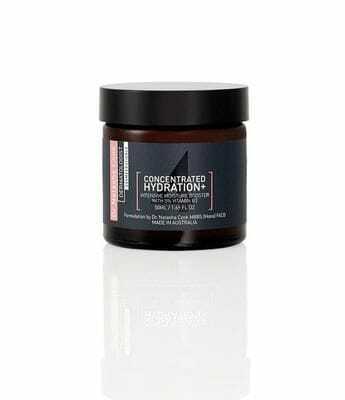 As a valued client, if you buy 2 NCD Concentrated Hydration+ jars you will get the cell renewing, cell exfoliating anti ageing Concentrated Clarifier serum as a bonus worth $92**. Not only does this rejuvenate and cell renew, it gently removes the winter dry skin cells. Rich in lactic acid this superstar AHA ingredient also has a humectant property which means it additionally adds water & moisture to the skin. Perfect to use under the NCD Concentrated Hydration+ giving the ultimate care and rejuvenation for glowing skin this winter. As well as using good concentrated cosmeceuticals your skin can get that added boost by having a HydraFacial. The HydraFacial is a medical grade facial machine that in only 20 minutes can instantly give noticeable improvement to skins tone, texture and hydration. The HydraFacial is suitable for almost all ages and all skin types and not only does it give your skin a real hydration boost it can also help fine lines, wrinkles, uneven skin tone, texture, clogged and enlarged pores, sun damage and hyperpigmentation.